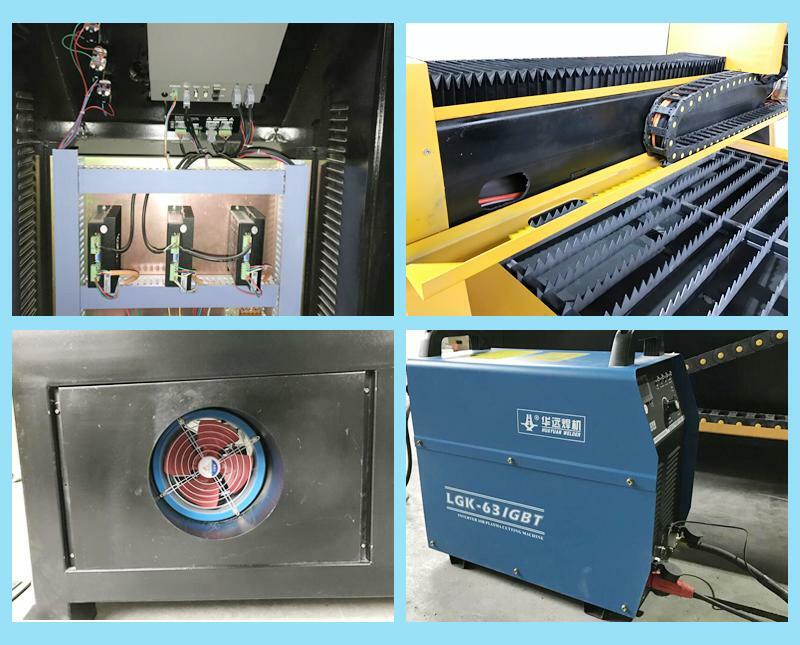 1.CNC plasma cutting machine adopts heavy structural design, the structure has good rigidity, light weight and small motion inertia. 3. Gantry-type structure. Y axis adopts synchronous double-motor and driver, and X,Y,Z axis adopt linear guide ways, stable transmission and high operational precision. 4. Fast cutting speed, high precision and low cost.CNC system with high configuration, automatic arc strike and stable performance, with above 99% arc strike success rate. 5. Small cutting holes, tidiness and no-residue phenomenon, avoids shaping process at second time. 7. Support for standard G code path files which are generated by softwares such as Artcut, Artcam, Type3. DXF format files generated by softwares such as AUTOCAD can be read through software transform. The controlling system adopts U disk to exchange processing files, operation is convenient and speedy. One technician will be assigned to customer company . Or we can provide customer training on Internet . All spare parts on machine we take use high quality and professional installation. Installation guide and manual and tool kit will be sent to Buyer with machine. CE authorized and ISO9001 QMS strictly carried out. Machine has been tested for 72 hours without stop before delivery. 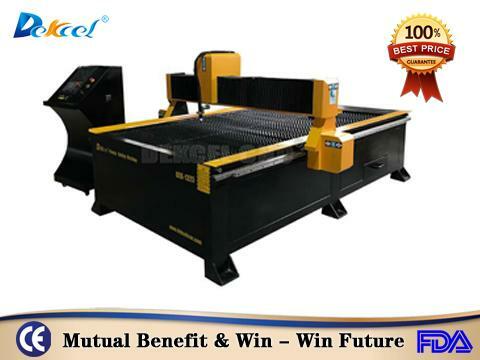 If you are interested in huayuan 160A plasma cutting cnc machine, please contact Jinan Dekcel Cnc Equipment Co., Ltd. as soon as possible. We are support service 24 hours online.